Last night saw the official opening of Ludlow Museum at the Buttercross. It is fair to say that this project has taken much longer to bring to fruition than anyone thought it might. But it now looks likely that the museum will be fully open from mid-August. That’s good news because this is a great little museum. This Saturday, 30 July, the museum is hosting a free public open day from 11am to 3pm. It will be well worth paying a visit. I like this museum. I like the way the exhibits have been displayed. I like that the exhibition area is not overcrowded. I like the entrance price – £1 for adults and 50p for children over five. Two Ludlow historic monuments remain on Heritage at Risk Register maintained by English Heritage, the town walls and the Buttercross. The master of spin was Alastair Campbell, Tony Blair’s media supremo who issued the dodgy dossier on Iraq. But Campbell is now being challenged. This morning Shropshire Council made a bid for Campbell’s title as spin master supreme. It issued a press release on changes to the Tourist Information service at the Ludlow Assembly Rooms claiming that vicious cutbacks are “exciting times”. I have read some rubbish press releases in my time but this amongst the very worst. The news about the Buttercross restoration and museum is not news. We have had a lengthy row about getting the funding for the Buttercross back that Shropshire Council once awarded, cancelled, re-awarded, procrastinated over and then gave back to the town council. There can be no better exemplar of this council’s love of pettifogging bureaucracy than this. The Buttercross is a great project and I fully support it. I don’t support the way the Shropshire Council today is trying to attract glory for a project it so nearly wrecked. The rest of the press release on the visitor information centre is utter nonsense. Gwilym Butler says there are “exciting times ahead.” Yeh, that’s as exciting as stepping off a cliff. What has happened is that Butler has slaughtered the budget for tourist information in Ludlow. The new service will be stretched to the limits. It will not be able to book bed and breakfast. It will struggle to provide the level of advice that is essential to a tourist town likes ours. 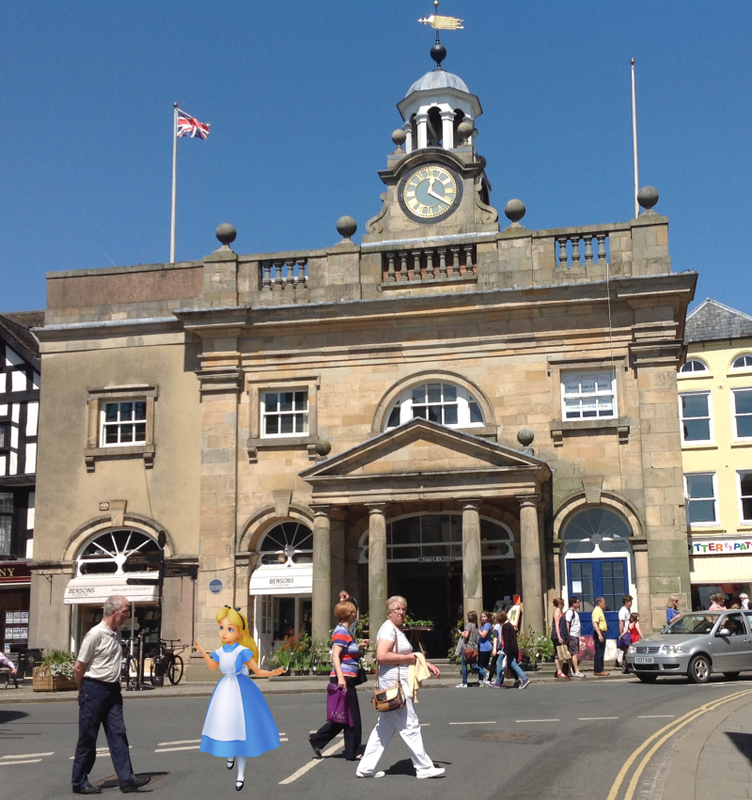 I have no objection to merging tourist advice with the box office for Ludlow Assembly Rooms. But there has to be enough money to support a decent tourist information service, just as there is in Shrewsbury. We are not going to get that money. Does that sound like exciting times ahead? No. They are the cautious words of someone squeezed between a rock and a hard place that has to cooperate with its funder. The reason that this “exciting” cut is happening is that Shropshire Council does not understand the value of the tourist economy to the county. There is not much money around, but failing to invest in tourism jobs is an own goal. There is regrettably no up-to-date information on the value of the tourism in the county. The last survey was a decade ago when tourism was estimated to be worth £116.7m across South Shropshire and supported 3,500 jobs. Since 2005, food, B&B, pubs and heritage projects have grown. Tourism will be worth a lot more than £177m now. But Shropshire Council is not interested in economic growth. All it cares about is budget cuts. Money is short, everyone is getting used to being fed crumbs. But to dress up significant cuts to the visitor information centre in Ludlow as “exciting times ahead” is more than dodgy. It’s dishonest. Alastair Campbell would be proud of Shropshire Council’s press release today. “It would be so nice if something would make sense for a change,” said Alice in Wonderland. The funding for the Buttercross heritage centre has finally been approved, but Ludlow Town Council has only to November to complete the project. This is despite Shropshire Council earlier saying work in the Grade I listed building could extend to until the end of March 2015. Shropshire Council’s leader Keith Barrow has said many times that the council must become more business-like. No business would tolerate this dilly-dallying around and confusion over a small contract like this. Shropshire Council is now setting a deadline that will be really hard to meet because of the delays its own tortured bureaucracy has created. We had the money for the Buttercross museum project, and then we didn’t. Then we had it again, but now we haven’t. It’s madness and it’s bad for Ludlow. Shropshire Council has once again changed the rules for funding Ludlow’s Buttercross museum project. It first said that the current grant had to be spent by 31 March, three months earlier than stated in its contract with Ludlow Town Council. Then it backtracked and agreed that the money could be spent as agreed in the contract by the end of June. Now Shropshire Council has changed the rules again. 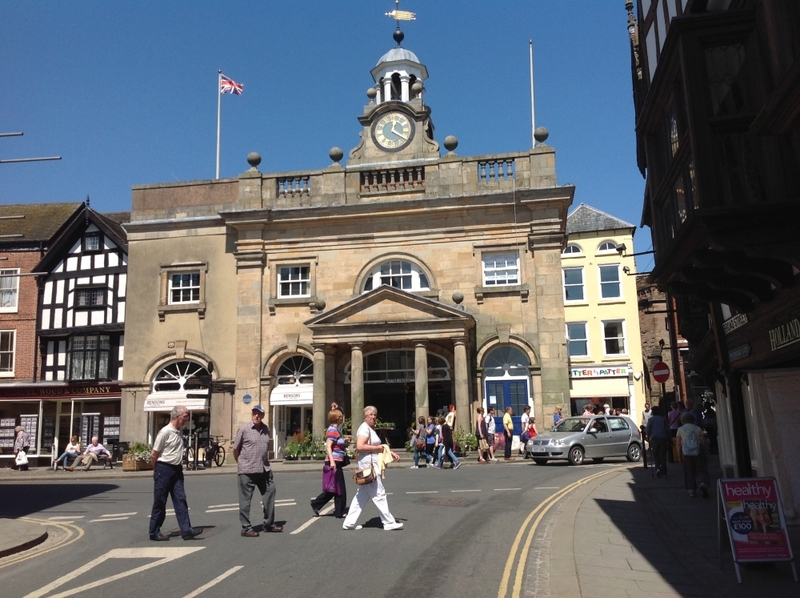 Ludlow Town Council believes the work to move the museum into the Buttercross will take until September to complete. It’s been told to rebid for money beyond June along with other projects. A number of other projects have already overspent, so there will not be enough money to go around. There is every danger that there will not be enough finance to complete the Buttercross project. Meanwhile, Ludlow Town Council can’t place some contracts for the work because it doesn’t know if it will have enough funding. The last thing Ludlow needs is a roller coaster of uncertainty. Every week the rules change for the Buttercross grant change. It doesn’t happen this way in Shrewsbury. Only last week, Shropshire Council said it had overspent on Shrewsbury Museum by £200,000 – that’s just a few months after the council said the project was on budget. The museum didn’t have to bid for that money. It was nodded through. When it comes to the Buttercross, Shropshire Council is more concerned with penny pinching. It cares more about its bureaucracy than promoting local economies. It has become so consumed by its internal angst over budgets that it no longer acts in the best interests of Shropshire’s people and economy. Shropshire Council should just give Ludlow Town Council the full grant for the Buttercross. It must stop messing around and start acting in the best interests of Ludlow.